We are an ISO-9001: 2008, SGS audited professional manufacturer and exporter in various parts, components and accessories, hardwares in China. We can supply all kinds of High Pressure Die Castings, zinc/ zamak aluminum alloy die casting parts. 1: Mechanical parts, Lighting components, machines parts, electronic and electromechanical items Electronic equipment housing and accessories, some auto parts, etc. Surface Finish chrome plating, Zinc plating sandblasting, painting, anodizing, powder coating, electrophoresis, PVD, ECT. We have been supplying products as per our customers’ samples or shop drawings or blueprints to European, American and Asian market successfully for 15 years, such as Germany, Italy, UK, Belgium, French, Spain Sweden, France and USA, Canada, Israel, Japan, etc. 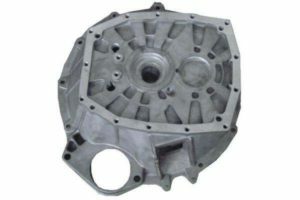 With many years development, we have a very professional manufacturer in Die casting. We located in Ningbo, where have fully advance die casting process industry around this area. Also, it’s very convenience for shipping,no matter by sea or air. What we offer to customers is the qualified products, as well as good services, on-time delivery,competitive prices. Please email us drawing with detail techinical instructions. Or leave message to us. 50% deposit for pre-production, paid the balance before shipping. How to inquiry us ? Send us the 2/3 D drawings by email, if no drawings, send the samples to us. We will send you the official quotation in 24 hours after get 2/3 D drawings. What is the regular products’leading time? when the samples finish, then we send you the samples. It will take about 30-35 days to finish the orders after you confirm the samples,it depends on different projects and quantity.